Q. 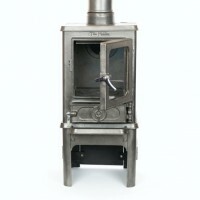 Having trouble finding a small stove for your small fireplace? Q. 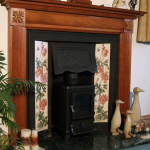 Have an ornate cast iron fireplace and want to retain it but also want to install a stove? It has been designed to solve these problems. No extensive building work re-modeling the fireplace. 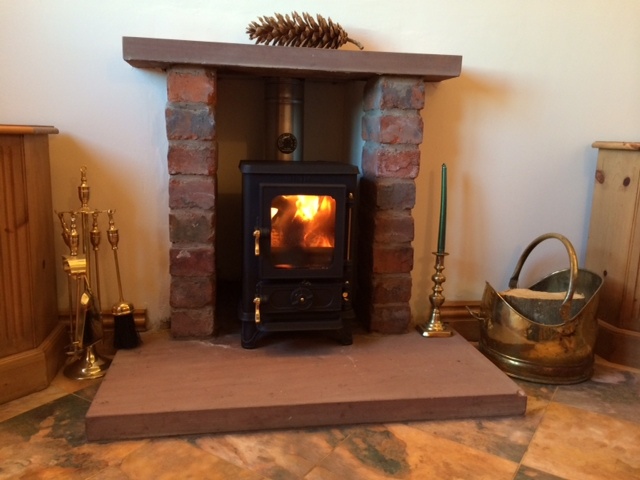 Installing a woodburning stove whilst retaining your period features. 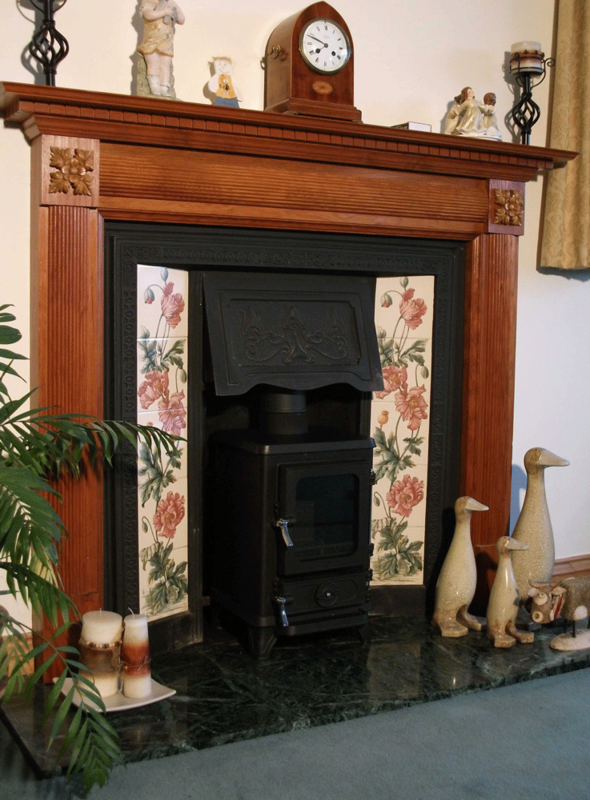 When you have an ornate cast iron fire surround which you would like to retain, but you still would like the benefits of a wood burning stove then fitting a Hobbit stove on the hearth in front of the fire surround is the answer. 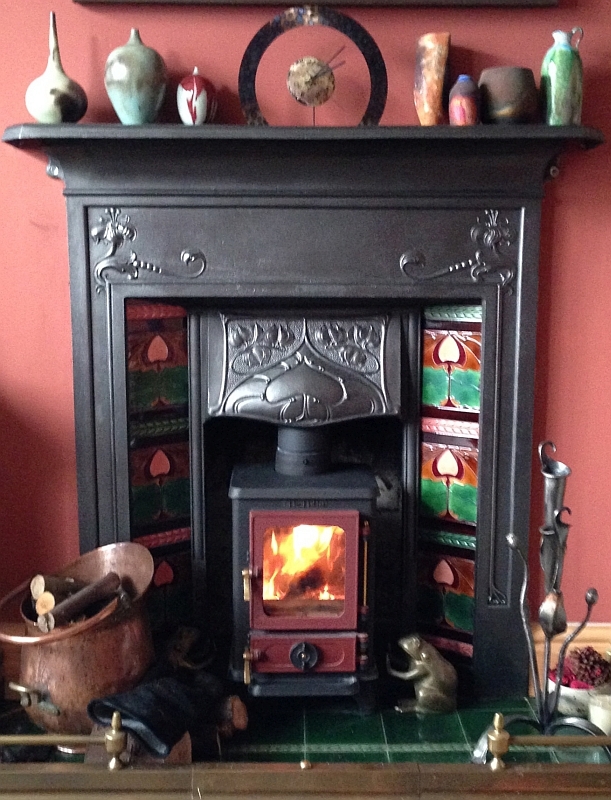 This was the problem faced by Mike Edwards from Nottingham, who has a very lovely art nouveau cast iron fire place insert and was very reluctant to sacrifice it as a consequence of installing a wood burning stove. 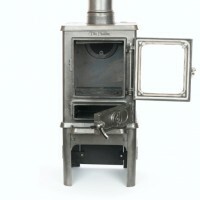 With its compact proportions the Hobbit stove was the ideal solution. Mr Edwards sent us details of the shape of the register plate he required and the height from the stove to the register plate and chimney lining. 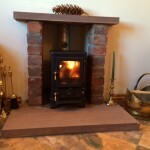 We worked out the rest and supplied both the stove and flue kit required to install the stove. The Hobbit is now installed and performs brilliantly! 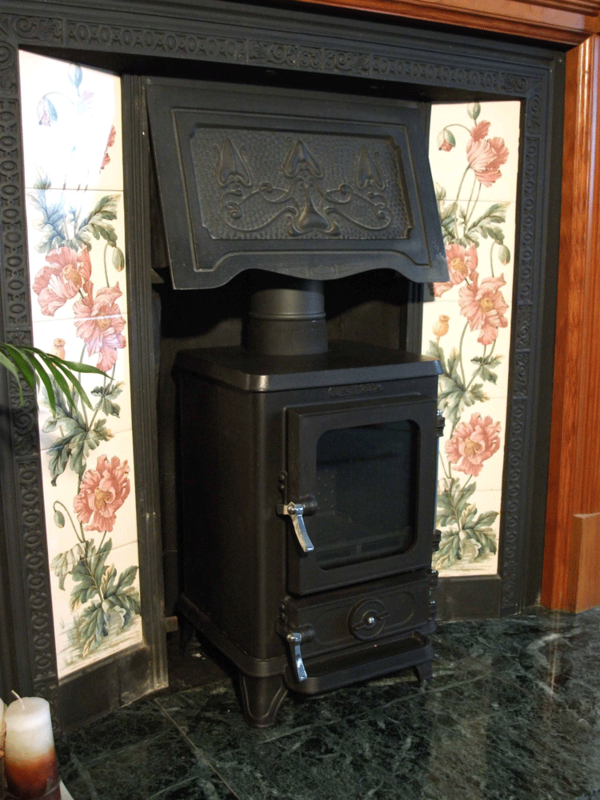 The size is absolutely perfect for a Victorian fireplace, and was installed with the minimum of fuss and disruption. The whole process took a day. The Hobbit was delivered exactly on time and precisely to the catalogue specification, sizes and finish. In fact better than anticipated! The packing was really heavy duty, and kept us happily occupied for some time trying to break in! Great company to do business with, and super product in the Hobbit! 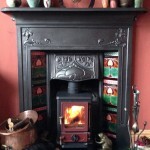 This photo gallery shows you how a Hobbit Small Stove was fitted into a beautiful fireplace. 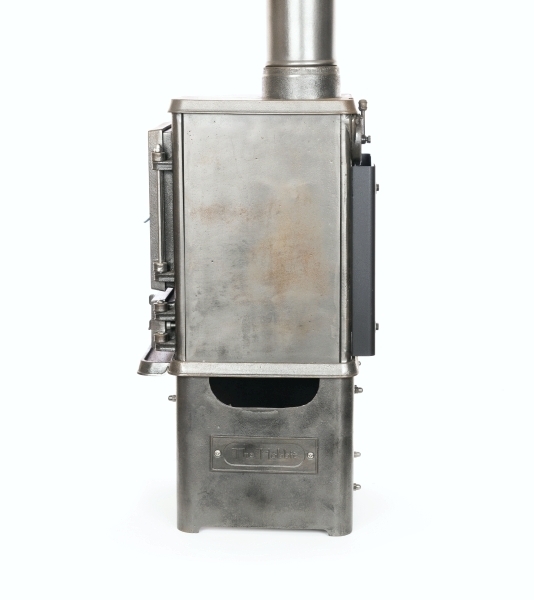 When fitting a Hobbit stove into your small fireplace you can use either your existing chimney flue or install an additional stainless steel flexible liner inside this flue. 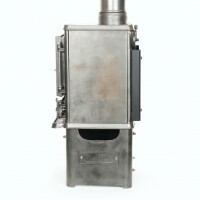 The method chosen will depend on the results of an inspection of the flue prior to any stove installation. All chimneys should be thoroughly swept by a professional chimney sweep and then inspected and smoke tested before either the existing chimney or liner are used. 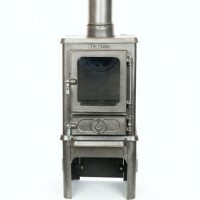 Most stoves will work more efficiently when connected to a stainless steel flexible liner due to the volume of air being smaller and therefore heated more quickly. 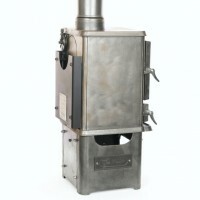 Thus the ‘draw’ of the stove is much better making the wood burning itself more controllable and hence more efficient. 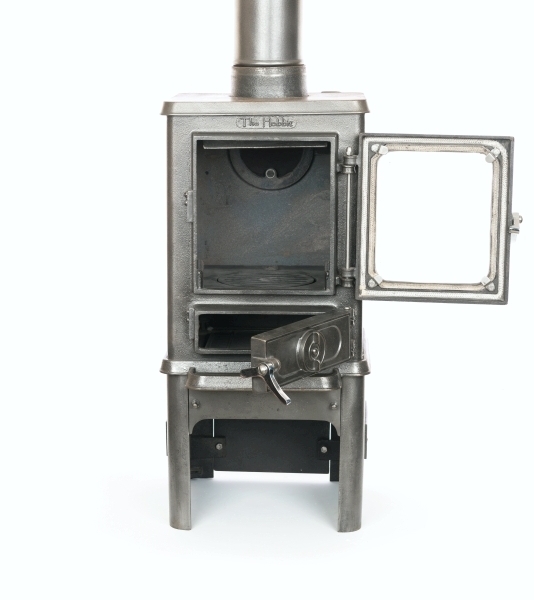 The Hobbit is great for fitting in to a small fireplace and can be connected either at the top or rear of the stove with the addition of a 90 degree ‘T’ flue component. 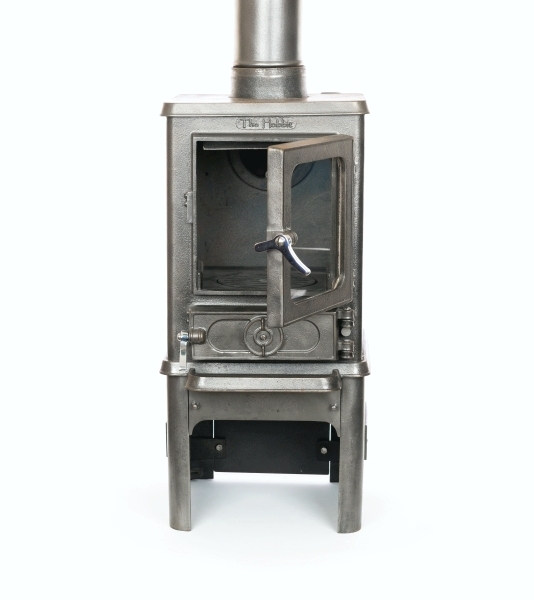 Please visit our Hobbit flue kits page to find the particular flue kit you need to install your Hobbit stove. 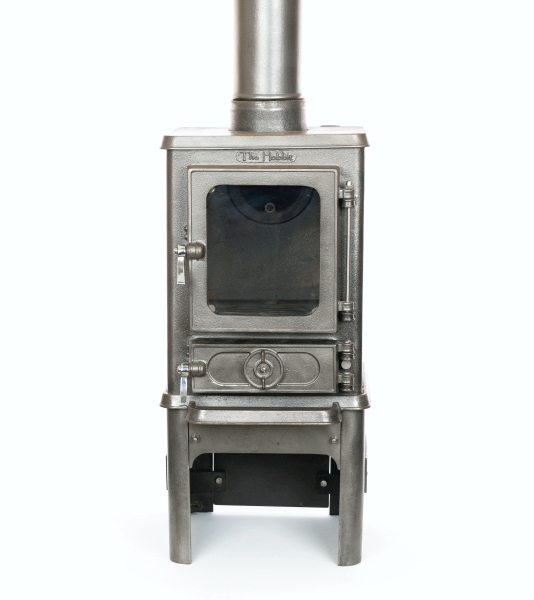 You can find kits for installing the Hobbit using an existing chimney, which come complete with a register plate and flue length, fire cement and fire rope. 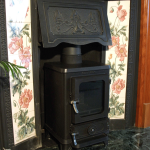 For more detailed information relating to the installation of a wood burning stove into an existing chimney please visit our blog. 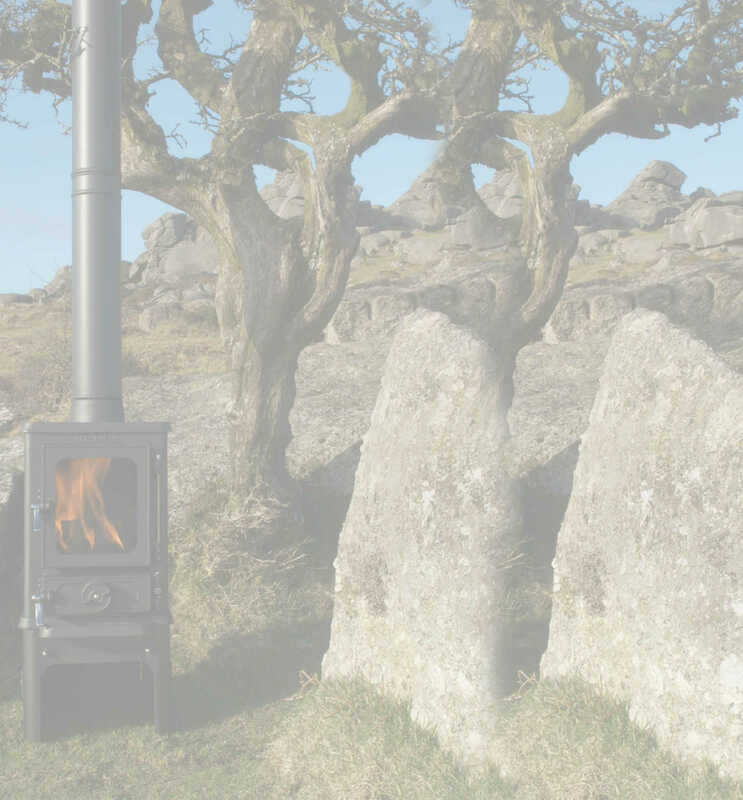 For a simple ‘step by step’ video guide to installing a Hobbit stove without removing the existing fireplace, using an offset please click below. Small fireplaces with small fire baskets are great to look at but hopeless at heating the room. 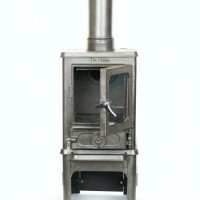 Installing a small stove into the small fireplace can solve this problem. However… questions arise. 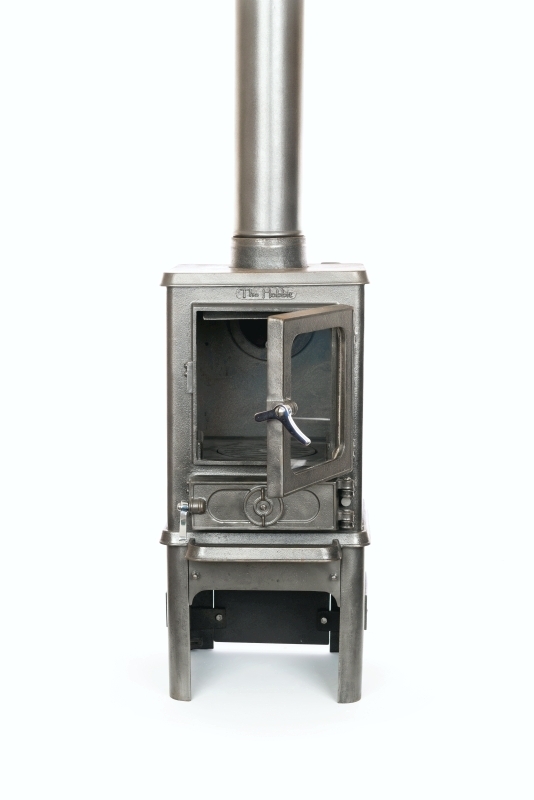 With compact proportions and slim dimensions the Hobbit small stove has become a popular wood stove solution for the smaller fireplace. 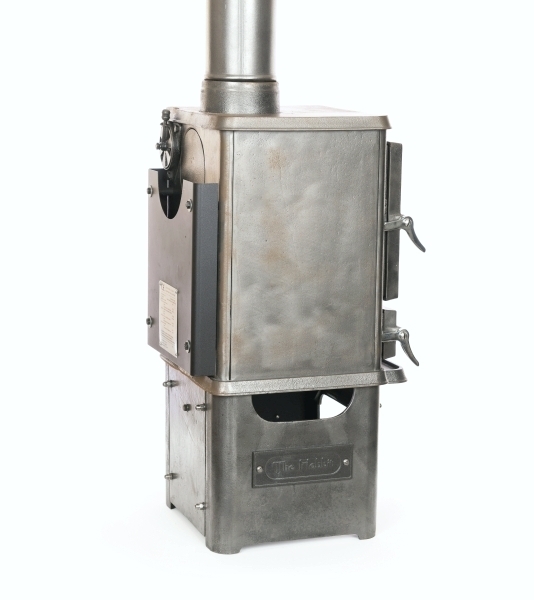 Why have the mess and inefficiency of an open grate fire, when instead you can have a clean burning efficient small wood stove.